Maybe you’re old enough like I am to remember when the word cancer was mentioned only in hushed tones. There weren’t many treatments, it wasn’t well understood and felt like (and often was) a death sentence. But research and our attitudes have come a long way. While still a devastating diagnosis, there are now ways to survive and live with cancer in many cases. Dementia and Alzheimer’s are today’s equivalent. Some would rather chalk the initial forgetfulness up to aging or ‘senior moments’. Many don’t want to address it because it seems like a death sentence with no real treatment options available. But that is no way to tackle a problem that one in ten people over 65 currently are experiencing. June is Alzheimer’s and Brain Awareness Month and now more than ever we need to start talking about how to prevent, treat and live with Alzheimer’s and other dementias. This week, in particular, will highlight awareness through events on the longest day-June 21. As we usher in summer on the longest day of the year with the summer solstice, many activities are planned to raise awareness and funds for research of this disease. The longest day events are about doing something you love while raising awareness to lift the stigma and move the needle forward on finding treatments for surviving Alzheimer’s. Purple is the color for Alzheimer’s awareness, so put on some purple and jump into a Longest Day in an event near you this week! See a list of local events here or create your own! But June 21 is not the only day to think about our brains. As you know, MemoryMinders advocates for daily ways to love and treat your brain well. All of our services are based on this premise of brain wellness. But the Alzheimer’s Association is a wealth of information not only on Alzheimer’s but other dementias, caregiving and educational options too. Go to the Alzheimer’s Association local site here, including this quick reference on 10 ways love your brain. Join me and go purple in June and raise awareness, funds for research and squash the stigma. 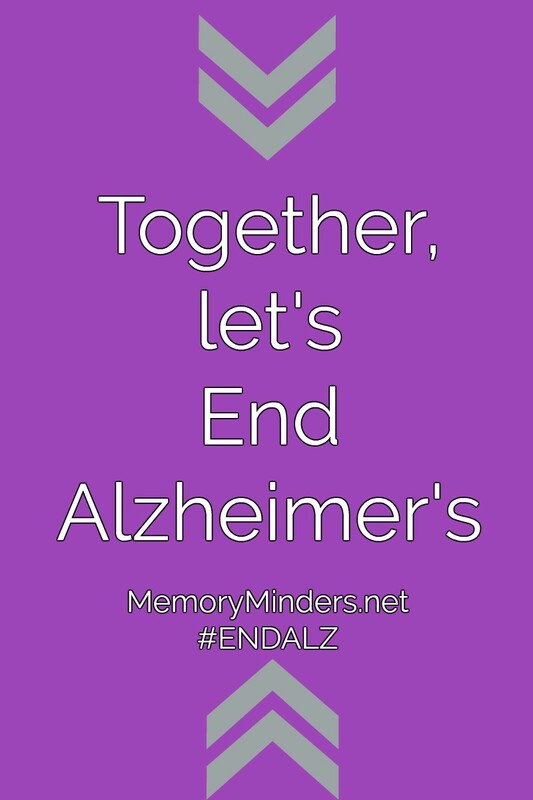 Let’s end Alzheimer’s!